The lottery announced Friday that the contract with GTECH Corp. now will run through mid-January of 2017. The company helps run games such as Powerball, Mega Millions and Club Keno. LANSING – The Michigan Lottery has extended its contract with a company that helps run games such as Powerball, Mega Millions and Club Keno. The lottery announced Friday that the contract with GTECH Corp. now will run through mid-January of 2017. The initial six-year deal was scheduled to expire in January 2015. Under terms of the contract, the bulk of the company's compensation is based on a percentage of sales. The contract extension has an estimated value of more than $53 million. GTECH is based in Providence, Rhode Island and has worked with the state since 1988. The lottery contributed more than $734 million to Michigan's K-12 schools fund in the last fiscal year. DES MOINES, Iowa (AP) - The Mega Millions estimated jackpot has soared to $636 million, making it the second largest jackpot in U.S. history. The jackpot had been $586 million, but lottery officials increased it Tuesday morning because of strong ticket sales ahead of the evening drawing. The jackpot now trails only a $656 million Mega Millions pot in March 2012. 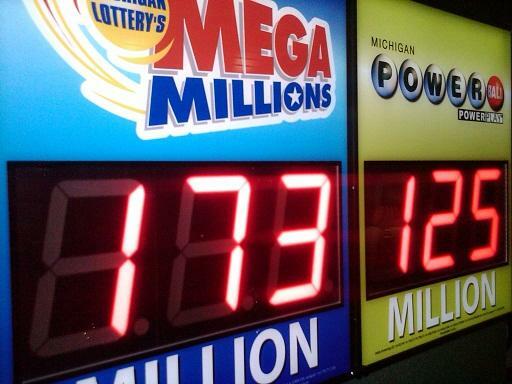 Mega Millions changed its rules in October to help increase the jackpots by lowering the odds of winning the top prize to about 1 in 259 million.